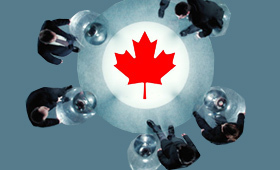 A consortium of specialists in business, real-estate projects and construction in Canada consisting of the consultant of your choice to first inform yourself well about the sectors of business and the construction industry in Quebec and Canada before taking important decisions in investment and/or immigration, and then to have all the resources needed to create or buy a business and manage projects and get more bids of contracts through the intercession of Construction Daniel Dargis Inc.
We do not only inform, advice and provide the resources to create or buy businesses but we provide projects to contractors, developers and business people who come to Quebec to develop their business. Here are a few of the websites under the direction of Construction Daniel Dargis Inc. to help business people from A to Z in business projects and immigration to Canada in the following sectors: construction, real-estate and renewable energy projects. 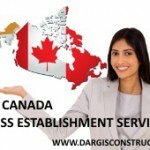 Construction Daniel Dargis Inc. is the only construction company in Canada with over 20 years of experience to direct its activities as a Canada business consultant to help business people settle in Canada and, moreover, to provide them with projects. Construction Daniel Dargis Inc. is a Canadian construction company founded in 1989 and operating in the following sectors: residential, commercial and industrial. Mr. Daniel Dargis, Eng. & its founder, comes from a family of building contractors with a long tradition of experience in construction from father to son since 1960. 5. Montreal Garage Construction : Specialists in construction of residential, commercial, industrial and agricultural garages in Quebec, Canada and advisor for warehouses and garages. for student-entrepreneurs who wish to realize real-estate projects alongside their studies. We are the only Canadian company in engineering and construction acting as consultant to assist business people in their decision-making process leading to immigration and/or the creation or purchase of real-estate and construction related businesses and then providing them with the projects.